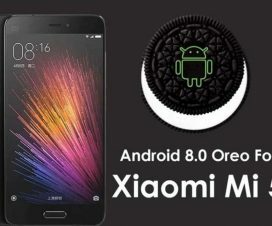 MIUI 9 is already official alongside the Xiaomi Mi 5X back in July this year. It’s almost three months since the launch and still Xiaomi users didn’t received MIUI 9 Global Stable ROM update. Instead, the Chinese smartphone vendor released MIUI 9 Beta update to its range of devices including Redmi Note 4, Mi 6, Redmi Note 4X, and more. But today we have a good news for all those MIUI users eagerly waiting for MIUI 9 update. Xiaomi today officially announced the MIUI 9 Global ROM for the International variants at an event in India. 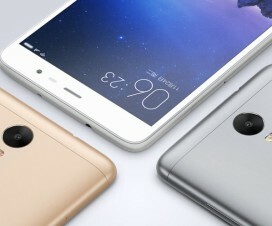 The Chinese smartphone giant will start rolling out MIUI 9 Global Stable update starting from tomorrow i.e. 3rd November and the Redmi Note 4, Mi Mix 2, and Mi Max 2 will be first in the list to get this lighting fast upgrade. Xiaomi Redmi Y1, the company’s latest selfie-focused smartphone launched at the same event is also eligible for MIUI 9 update. Huang Longzhon, MIUI Marketing Deputy Directory said there are too many MI users all over the world and it will be risk to launch unstable version. Thus, it took ample amount of time to retest it and then finally we’ll have a stable one. 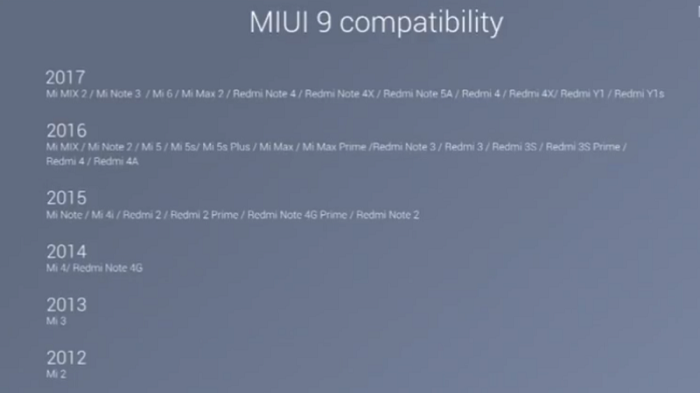 Some of the Xiaomi phones expected to get MIUI 9 update are Mi 6, Redmi Y1/Lite, Mi 5s Plus, Mi 5s, Mi 5c, Mi 5, Mi 4S, Mi 4c, Mi 4, Mi 3, Mi 2/2S, Mi MIX, Mi Max 2, Mi Max, Mi Note 2, Mi Note/Pro, Mi Pad 2, Mi Pad 1, Redmi Note 4X (MTK), Redmi Note 4X (SD), Redmi Note 4, Redmi Note 3 (MTK), Redmi Note 3 (SD), Redmi Note 2, Redmi Note, Redmi Pro, Redmi 4X, Redmi 4A, Redmi 4, Redmi 4 Prime, Redmi 3S/Prime, Redmi 3, Redmi 2A, Redmi 2/Prime, Redmi 1S, Redmi 1. 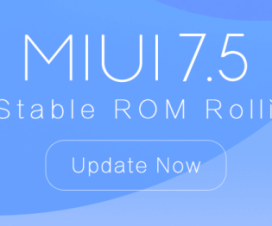 The MIUI 9 Global Stable ROM update will be released in batches just as it was during release of MIUI 9 Beta ROM update. Also, the Redmi Note 4, Mi 6, Mi Note 3, Mi Mix 2 and Mi Max 2 will be amongst first devices to receive the MIUI 9 Global update. Features like Image Search, Smart Assistant, Smart App Launcher, Spilt Screen Mode, and System Optimization are the highlights of MIUI 9 ROM. The Smart Assistant packs all the usual features which we have come to expect from a smart AI. Here, users have the options to search for photos, text messages, emails, notes and the web. 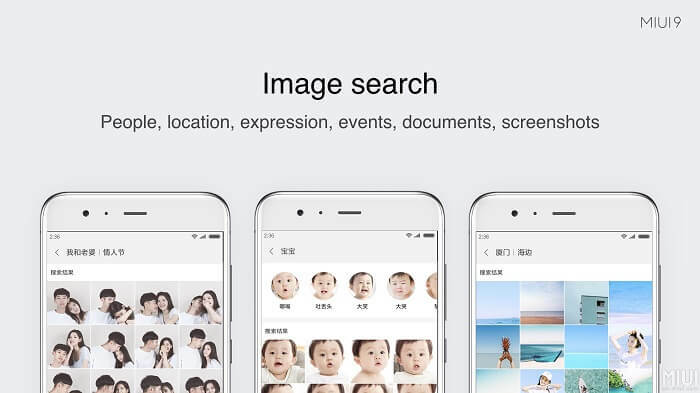 Image Search is another biggest feature of the MIUI 9. With this, you will be able to search your photos library for people, locations, expressions, events, documents, screenshots, and more. Apart from OTA updates, MIUI users can also update their smartphones by flashing MIUI 9 Recovery & Fastboot ROM. Recovery ROM can be installed by booting your device into recovery mode while the Mi Flash Tool is required to install Fastboot ROM. Stay tuned as we’ll update the post whenever a new models gets MIUI 9 update. Related Content: Quick Guide on how to install MIUI 9 on Xiaomi phones.